Display outside the Lleida Museum, credit Lleida Museum. In a startling example of how museums are caught in political controversies, the first orders issued by the central government of Spain after suspending the pro-independence government of Catalonia required a Catalonian museum to send artworks to neighboring Aragon. The orders were the first made after a decision by Spain’s Prime Minister Mariano Rajoy to implement a never-before utilized Article 155 in Spain’s constitution to overturn the election of Catalan independents to a majority in Catalonia’s regional parliament. The order brought 500 demonstrators to the Lleida Museum in the early morning hours to protest, chanting, “Hands up! This is a robbery,” as government officers hauled the artworks away to neighboring Aragon. A snap regional election in Catalonia on December 21 called by Prime Minister Rajoy failed to deliver for either the Conservative or Socialist parties, traditional opponents which had both argued against independence and for maintaining the Spanish constitution. Instead, pro-independence parties held a slight parliamentary majority after the December vote generated an unprecedented 82% turnout. This left independents in essentially the same position as after an October 1, 2017 referendum and November declaration of independence. They had a narrow mandate for independence, but no means of putting it into effect. 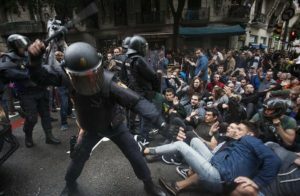 Police charge protesters in Barcelona, January 10, 2017. Catalan independence referendum, 2017, Photo by Robert Bonet [CC BY-SA 3.0 es (https://creativecommons.org/licenses/by-sa/3.0/es/deed.en)], via Wikimedia Commons. After the October vote, Rajoy had invoked Article 155 of Spain’s Constitution for the first time, fired the entire regional government and suspended Catalonia’s regional autonomy. Spain’s central government also took control of Catalonia’s radio and television, police, and finances. But in the December snap election in which Spain hoped to gain support for a united Spain, Catalonian voters reinstated pro-independence government leaders, who had to campaign from prison and exile. However, Rajoy’s political strategy to combat Catalan separatists continues to work primarily through the courts, employing claims of corruption, rebellion and sedition against independents. 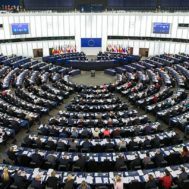 While a future political scenario could involve a three-way government of independence-leaning parties – even if the reelected officials can take their seats, there is no guarantee that they will be able to agree on more substantive economic issues. Catalonia is one of the most economically successful of Spain’s regions, as is the Basque region, where independence movements are also strong. Meantime, Carles Puigdemont, the head of the largest vote-getter, the PDeCAT Party, is in exile in Brussels, fighting an international warrant. He faces arrest if he returns to take up his post as President. Spanish courts have indicted and imprisoned many other civil-society leaders. (On November 19, Spain’s Attorney General, José Manuel Maza, who headed the prosecution, died suddenly of a liver infection, but the prosecutions have continued without delay.) On December 30, Puigdemont demanded that the newly-elected Catalonian government reinstate him and all other elected officials. 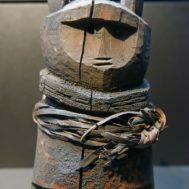 Photo credit: Rosa Matas, http://www.lavanguardia.com/local/lleida/20171203/433330601164/museu-lleida-7-piezas-expuestas-sijena.html. According to Sebastiaan Faber and Bécquer Seguín, writing in The Nation, pro- and anti-independence Catalonian political parties share similar but ill-defined positions on economic and employment issues, such as curtailing individual salary supplements and other aspects of what is viewed as a too-generous welfare state. The issue of Catalan autonomy, however uncertain the results may be, is galvanizing the population. 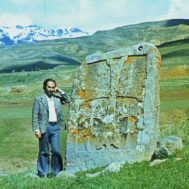 It is not surprising that what might be deemed a purely symbolic question of where certain religious artifacts will rest has become the focus of controversy, demonstrations, and violent clashes between police and pro-independence activists. The Diocesan and Comarcal Lleida Museum (Lleida Museum for short) is owned by the Lleida city council, the Lleida Roman Catholic Diocese, and the Generalitat de Catalunya which includes the Parliament, the President, and the Executive Council of Catalonia. The museum is not old; it was re-organized in 1997 to hold collections of Roman, Islamic, Romanesque, Gothic, Renaissance and Baroque art. Certain objects in the museum originated in the neighboring region of Aragon, in a diocese separated from the Lleida diocese only in 1995. Courts in Aragon have recognized ownership of the objects by the Roman Catholic Diocese of Barbastro-Monzón; they have been claimed by Aragonese institutions since the 1995 division that sent some to Catalonian institutions and others to the Prado. The projected removal of the artifacts quickly generated outrage among members of the secessionist movement. 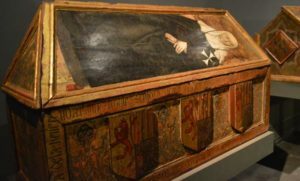 On December 11, written orders were taken to the Lleida Museum to remove forty-four objects, including beautifully painted wooden coffins, sculptures and paintings sold to Catalonia by the nuns of the 12th century Monastery of Santa María de Sigena in Aragon. The authorities in Aragon have claimed that the nuns did not have authority to sell the objects when they were removed from the monastery in the 1970s. The nuns relocated to a nunnery in Barcelona, and the government of Catalonia purchased the artworks for $70,000 in 1986. 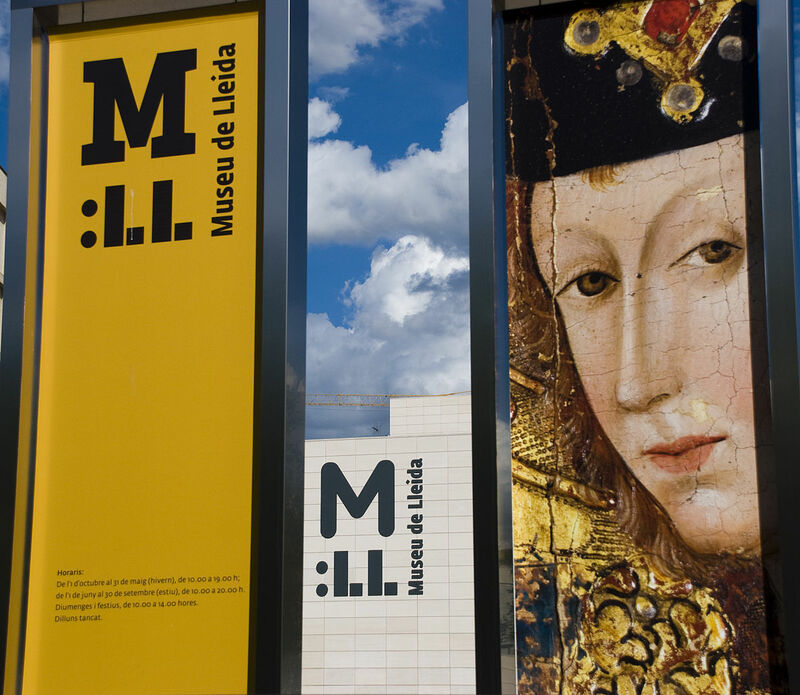 Thirteen years later, they were brought to the newly-organized Lleida Museum. Another 50 artworks from Sijena – also now claimed by Aragon – went to the Museum Nacional d’Art de Catalunya (MNAC) in Barcelona. Protesters in Catalonia have said that the removal of the artworks from the museum was an act of reprisal by the central government. The claims for the artworks had earlier been part of the campaign discussion surrounding Catalan independence. Although the ownership of the objects has been disputed for years, a judge in a long-running court case in Aragon sent a request for repatriation to the Spanish cultural minister within weeks of the federal government’s dissolution of the Catalonian regional government, and the request was immediately granted. The Lleida Museum staff used social media to criticize the central government for taking actions to remove the artworks at a time when Catalonia’s government had been dissolved and was therefore unable to respond. When officers of Spain’s Civil Guard arrived at the museum, they cordoned off the building, which was then quickly surrounded by about 500 protesters objecting to the removal. As museum authorities sent messages asking police not to charge peaceful protesters and create a riot, the artworks were boxed up, placed in a truck, and driven away under heavy guard.